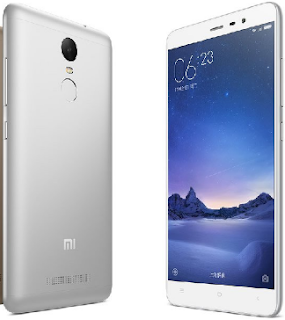 How to Enable Only 4G LTE Network on Xiaomi redmi Note 3 Pro - Redmi Note 3 Pro with Qualcomm Snapdragon processor 650 has been officially launched and sold. Its arrival was greeted so enthusiastically by many Android lovers in the world. Unfortunately, almost all Xiaomi Redmi Note 3 Pro buyers complained about the loss of 4G LTE network on this phone. We do not really now whether this problem happens in different country or not, but based on the review this is happening on almost all Indonesian people who bought Xiaom Redmi Note 3 Pro. Its network deliberately disabled because of DCL rules by the Government in Indonesia. Therefore, Xiaomi removed a large selection of 4G LTE network in order to keep selling Redmi Note 3 official in Indonesia. But please note, based on the hardware all variants Xiaomi Redmi Note already supports 4 LTE network. To enable its 4G LTE network, we just need to do a simple steps. Here is the simple and easy trick to enable 4G LTE network on Xiaomi Redmi Note 3Pro. Make sure the SiM card that supports 4G LTE network is placed in the first SIM. Next, there will come the selection menu. Select "Phone information 1"
Find the option "Set prefered networktype" and change the options to "TD-SCDMA, LTE, CDMA, EvDO GSM/ WCDMA". By doing the simple steps above, 4G LTE network on Redmi Note 3 Pro will be automatically on 4G LTE network as the primary network. But please remember, the battery consumption while using 3G and 4G networks are clearly different. 4G Network requires greater power consumption would be more extragavant smartphone's battery. Pressing *#*#4636#*#* is just a trick to enable 4G LTE network, but once you restart you phone, the network will restore to default again. To handle this problem, you just need to do the same steps above. Belum ada tanggapan untuk "How to Enable Only 4G LTE Network on Xiaomi redmi Note 3 Pro"